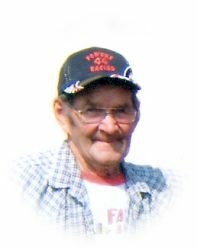 Powers — Melville, It is with heavy hearts the family of Melville Hilton Powers announces his sudden passing on January 15, 2015 at the age of 81 years. He was born in Winnipeg, Manitoba on May 25, 1933. He was predeceased by his parents, Augie and Ruby Pedersen, also his wife Harriet. He has left to mourn his companion Loretta, sister; Eileen, and two brothers; Lloyd and Harvey. His children; Kim, Grant (Jackie), Linda (Allen), Phillis (Pat) and Kendal (Lori), 11 grandchildren and one great grandchild. He will be sadly missed by all. Memorial service will be held at the Centennial Centre Hartney, Manitoba on Friday, April 17, 2015 at 1:00 p.m. followed by a time of fellowship and refreshments. In memory of Mel, donations may be made to a charity of your choice. Mel will be for ever missed. He was one of a kind. My youngest son’s comment was ” mom, remember Uncle Mel left his own special foot print with all who are left behind “. I have found that very comforting. I have shed tears,& laughter with friends & family members since the tragedy. He was a great brother, family member, friend in need to one & all, hard worker & fun loving. You will not be forgotten Mel. Miss you so much dad ….. Say hello to everyone up there who we loved dearly that had left us way too early. We will miss you and your visit’s, the years have been good and bad ,But now you have gone to a better place.